Whenever I'm out of ideas, I schlep on over to Tracy's and she delivers. 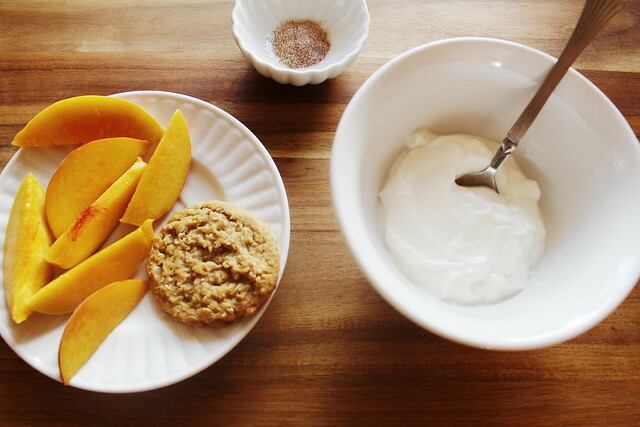 The recipe I'm sharing today is from her Shutterbean "Snacks" series. 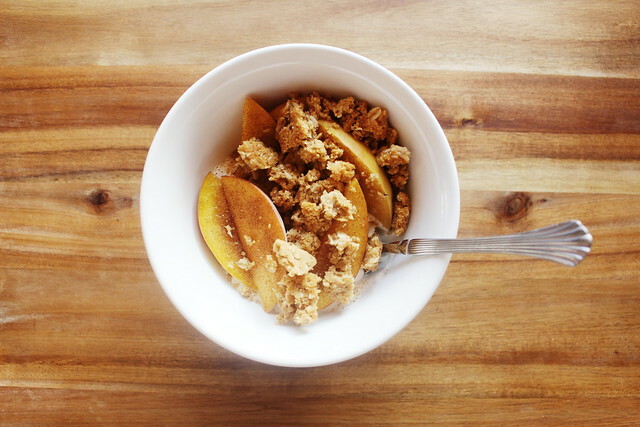 I love the simplicity of these recipes! See Tracy's recipe for Cinnamon Peaches with Cookies and Cream here. 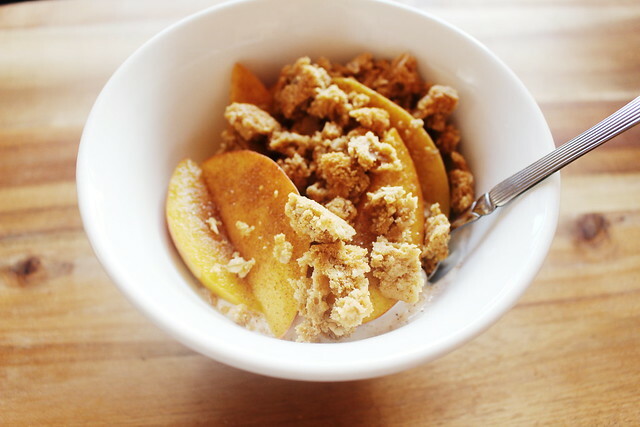 For this low-calorie dessert or breakfast, I topped vanilla, Greek yogurt with sliced peaches sprinkled with cinnamon sugar and a crumbled, oatmeal cookie. 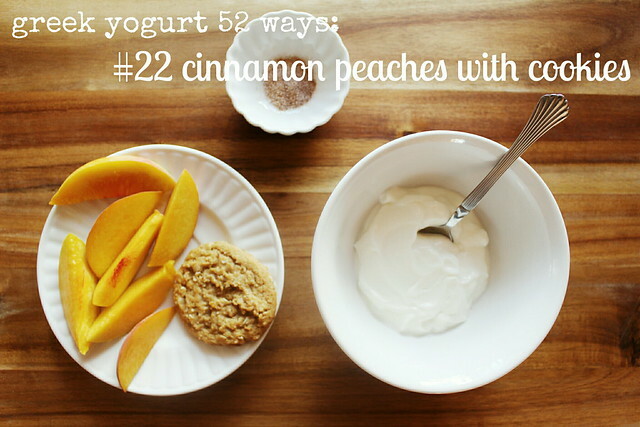 You have to try this and tell me what you think! I'm a fan.